A clogged drain may seem like a simple issue you can handle yourself. But, a repeated problem with your drain means one thing: that you need drain cleaning. Customers rely on our team for the highest quality drain cleaning services. Persistent drain clogs are hard to get rid of without the proper tools. Chemical drain cleaners can only do so much to break up blockages. Plus, these drain cleaners are bad for the environment and shouldn't be used repeatedly. Instead of spending 10 or 12 dollars on a bottle of drain cleaner each time a clog manifests, a more permanent solution is to hire a professional company that can provide drain cleaning services. Professional drain cleaning will properly clean the clogged drain, removing all traces of the obstruction. Grease, solid food, dishwashing liquid, and much more will eventually build up inside of your pipes. When that happens, we have the right equipment to thoroughly remove all of the debris. You already know that bathroom clogs are a nuisance in every sense of the word. To prevent nasty backups into your home, you want to quickly stop this kind of clog. We use state-of-the-art equipment to remove toilet paper, solid waste, and anything else that's blocking the drain. Basement floor drains are essential but they can be troublesome, too. If they become clogged and don't drain properly, they can release a foul smell. Call us at the first sign of trouble to remove dirt and debris and restore proper flow. When it operates efficiently, your downspouts and their pipes keep water from collecting on your roof and standing along your foundation. Leaves and dirt can clog them, though, causing backup and flooding. Our technicians completely remove the source of the clogged drain so that water runs like it should. If you are finding that you always have a slow drain, it may be time to look into drain snaking as a solution. Drain snaking is a simple process that can be completed quickly and easily and will leave your drains working better than ever. Once the process is completed, our technician may be able to enlighten you about what blocked the drain and how to avoid such issues in the future. In case snaking or drain cleaning doesn't work, we can perform line jetting. This involves the use of a pressurized spray of water to clear the obstructions from the pipes. If you have been told by other drain clearing services that you need an entire new septic system and they didn't attempt clearage with line jetting, then call on us for an inspection and service! Even persistent clogs are often dislodged with line jetting. If you would like to know more, just ask us, we are happy to answer any questions! A few minutes on the phone with us can save you hundreds of dollars in unnecessary work. You get instant results when we clean your drain, but there are also lasting benefits that come with a professional service. Our drain cleaning service eliminates small blockages that could grow into larger ones. Because clogged drains result in standing water that contains solid and liquid debris, odors often accompany them. Clearing drains makes sure that your bathroom, kitchen, or any other room that has a drain smells clean. 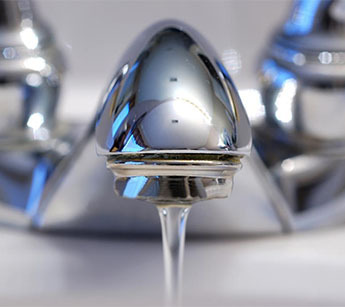 To avoid the need for costly plumbing repairs, ask us to look for other issues that may soon cause a problem. Just because your sinks, toilets, bathtubs, and floors have drains doesn't mean they will necessarily become clogged. You can prevent the need for drain snaking and other services by following some simple rules. Perhaps the best way to keep your drains open is to be careful about what you put into them. You should always avoid major culprits such as coffee grounds, cooking grease, and solid foods. Since you have to use soap to wash your hands, just make sure you rinse thoroughly to prevent soap scum buildup. For added protection, cover the opening with a properly fitted grate to avoid a clogged drain. There are also some home methods you can use that are both safe and effective. For example, you can run the hot water every time you use the sink to keep liquids and solids from building up in pipes. That box of baking soda can also be used to prevent clogs. Toss a little of it into your drain along with hot water to clean it and to make it smell good. Vinegar is an effective drain opener, too. Pour approximately one cup down the drain, wait a-half hour, and then let hot water run through it. Contact us for drain cleaning service that effectively removes all types of clogs and restores the flow of water. We perform drain snaking in St. Louis, St. Charles County, Wentzville, St. Peters, and St. Charles, Missouri.